Ron Weijers will exhibit a selection of his works from the Mutation & Transformation series he developed at Art/X/Toyama 2018 - 8th Toyama International Contemporary Art Exhibition from April 28 till May 6 2018 at the Niikawa Bunka Hall, 110, Miyazu, Uozu-City, Toyama in Japan. The multimedia artist Ron Weijers comments on our everyday (sur)realities while stimulating dialogue and discussion on social and geopolitical issues of our time. In his work he considers the daily absurd - larger than life – (im)possibilities of this world by visualizing the essence, catching the heart of the issue at hand. Within the whole array of different media and ways or approaches to artistic visualisation, one can sense a special harmony between the expressed and produced, between the personal and populist, the traditional and modern, the premeditated and intuitive, but also between the physically perceived and spiritually sensed. From the moment Weijers initiates the development of a new concept and project, the first steps he will undertake would be to explore the concept on it's values of transformation and contradiction. The process of creating a new series of work is fundamental to developing a visual language through which he can communicate the feeling of experiencing the concept towards the spectator. His works define and redefine the meanings of process and transformation. 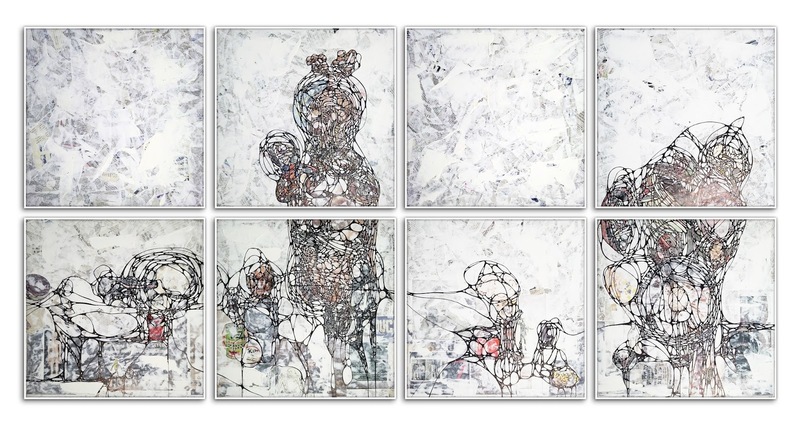 Bringing elements of chaos and dissonance into a state of harmony, each work matures into a fully realized presence. Processing preliminary studies and sketches in general will precede the final execution of his basic concept for new works. In the early stages of concept development he will futhermore scout for suitable materials and inventory in order to be able to actually execute and develop the project without interuptions. Sometimes he will develop a new project over a period of one or two years before the actual studio process and production will start. 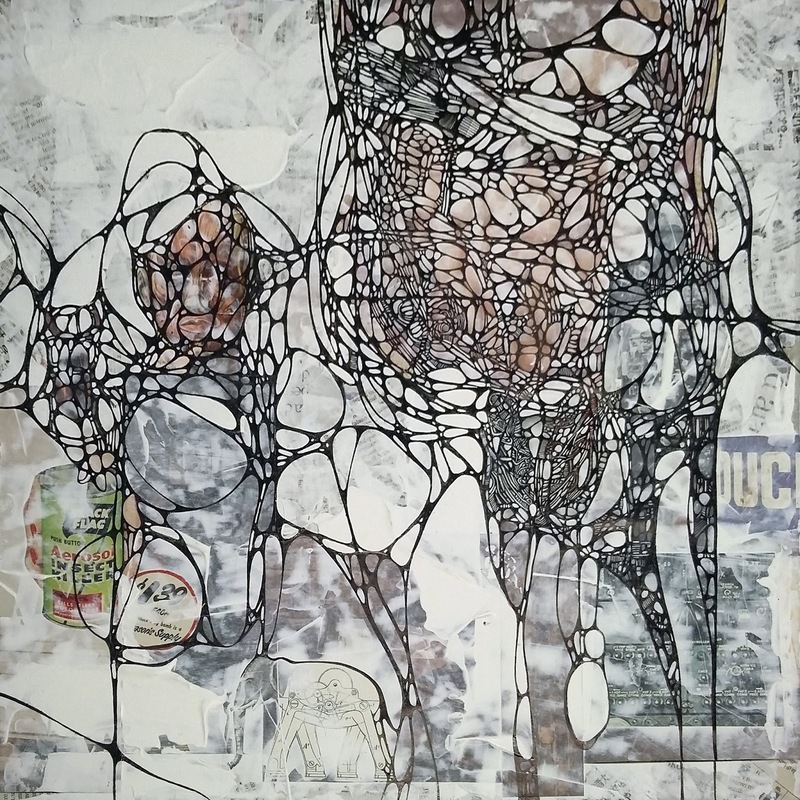 As his work could be categorized as mixed media works and assemblages, almost continuously he is researching and scouting to develop his pretty extended and well organized archive of undefined objects and other quirky stuff and materials. 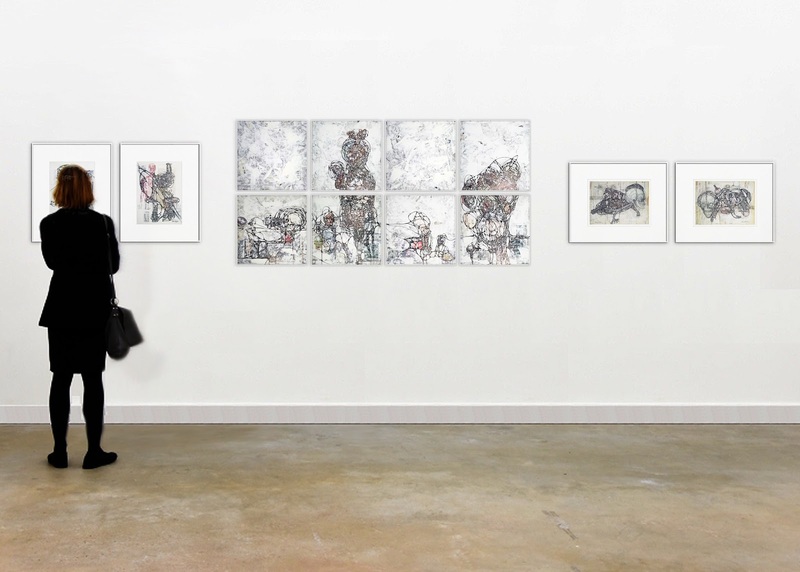 His work engages with current events and contemporary society. Reviewing a worldwide climate of inflaming violence and it's obvious consequences, laid-back absorbed from a cozy armchair as presented by a large variety of conveniently censored news-broadcasts, he developed and constructed a very individual concept and style that is trademarking these projects. His visualization and philosophy on the concepts for these projects, can be enigmatic in parts and often they are deliberately dark and dazzling at the same time. Furthermore the concepts mostly contain a highly potent mixture of symbolism that in his opinion works as an immersion booster. He is proud to be able to call himself an idealist and there is a strong essence of idealism integrated within his artistic processes. Thriving on his freedom of expression, overall he will develop projects in order to reflect his antipathy or solidarity to the peticular cause as integrated within the concept. In general the works will discharge a positive loaded energy field from a distant viewing point and will reveal the actual and opposite details only by closer examination. With the exhibition of projects like this, he intends to transfer his views and thoughts to the spectator, to improve awareness and to promote and to stimulate an open dialogue and discussion on specific and often sensitive issues. 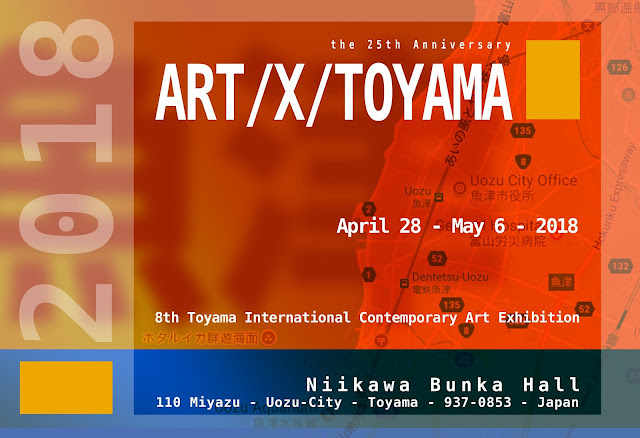 The concept for the Mutation & Transformation series of works for the Art/X/Toyama 2018 exhibition in Japan reflects on the moments leading up to changes that occur in politics, in DNA, in climate, in economy, in religion and many more affiliated issues. Sometimes they’re brief, other times they’re long processes. In science, they’re the movement from one state of matter to another. In nature, they’re the graduation from one stage in a life cycle to a different phase. Mutation & Transformation, as a basic concept and it's possibilities to relate to contemporary art processes, has been primary researched, probed and introduced curated by Weijers for the 10dence gallery 'Metamorphosis' - contemporary transitions exhibition at Hof van Ryhove in Ghent, Belgium early 2018. Metamorphosis, transformation, genetical and psychological manipulation, nuclear accidents, mutations and the consequenses, Monsanto Roundup, gentech, global warming and even the effects of robotics on mankind, are just some of the keywords and issues that triggered Weijers in the development of this concept. During the process of making his works, he de-structs, de-activates, re-constructs and re-activates his materials and handles his work to that of building a relationship: a series of attempts at intimacy with the work, of fallen expectations, of failures and finally, of surrender. It is in the suspended spaces between the swaying of depicted figuration and abstraction, that these worlds take shape. His work acts as a rhythm of color, of possibility, of realization and as a sorting structure through which he generates harmonies within the chaos around him. He translates his creativity and visions into multi-layered works of art that reflect a characteristic abstract language of signs and shapes. 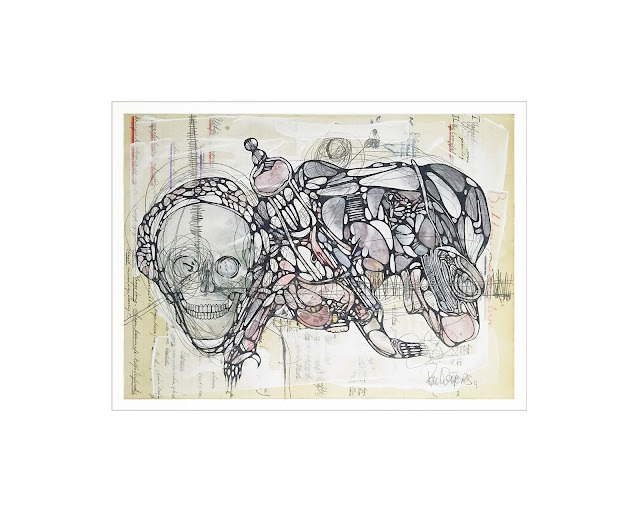 Within his works he intends to reveal a deeper meaning and reflects his views on contemporary issues. By reaching a state of liberation from existing patterns, the interplay of lines is dominated by the metamorphosis which conceals the evaluation of the work from the source. He tends to stimulate the spectator's fantasy and awareness by the intuitive and specific combination of color, material and shape, thus seducing the spectator towards an alternative view on this world. For all of the above reasons, he's actually completely satisfied with his processes and the techniques involved. For several years now, Weijers added his artistic and organizational involvement in an international operating art community and network, called GAP (Global Art Project) as an inspiring asset to his art practice. GAP is an international network of mixed media artists who collaborate, research, develop, inspire, tease, trigger, communicate and exhibit together. One of the most intriguing aspects he became confronted by within his collaboration with GAP would be his involvement within the frag collaboration process. 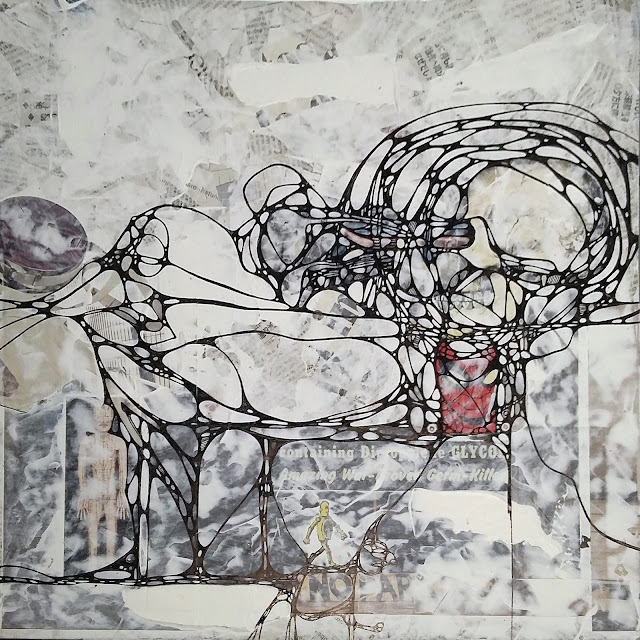 Mixed-media works derived from the exchange between members of GAP, relinquishing responsibility or ownership going beyond the original intention of an image or idea broken down into fragments (frags) resulting in a deconstruction, a re-ordering of the visual universe into new ways of seeing. frags or the fragments, the raw materials that might become elements of mixed-media collages or paintings... torn found papers, billboard tearings, fabric, found shopping lists, photos and negatives, discarded canvas and throw-aways that are given new life by another artist who incorporates these raw materials into something new; a pretty intriguing way to colaborate via the mail and internet as well as in-person. There are so many lessons an artist can learn from a process like the GAP frag collaboration project. 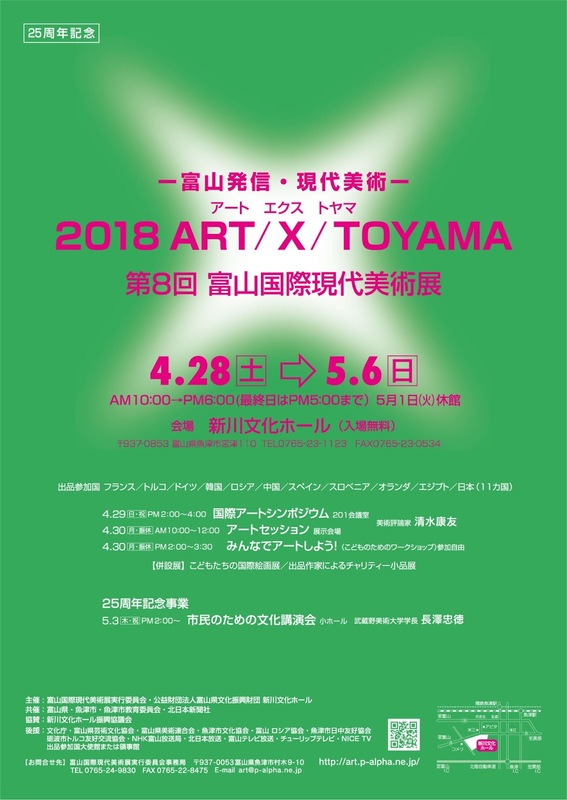 Among the Mutation & Transformation works on display at the Art/X/Toyama 2018 exhibition there are two works fitting this description as an example. Twisted Minds I&II are frag collaboration works developed by Weijers using frags from the USA based founder of the GAP network; Carl Heyward. Weijers managed to find a very individual style, trademarking his work that conveys an intuitive visual language, where interlacing signs and shapes combine by relational substance to create a mystical place. His work could be described as enigmatic in parts, deliberately dark and dazzling at the same time and it mostly contains a highly potent mixture of symbolism that in his opinion works as an immersion booster. Weijers seems to integrate mythological, political and religious content as effortlessly into his works as walking a very fine line alongside a kind of experimental abstract poetry of the moment, he is able to bestow a certain kind of aura on his works, that increasingly takes the form of installation and object oriented assemblages and projects. His calligraphically elaborated, fluid, refined, mature and determined line winds to end up forming an originally modified structure. Figures and elements are thus rendered in their natural state, one belonging to the other with consistent symbolism that allow the viewer a ready grasp of their message quality and orientation. Thereby inviting viewers to consume individual components for detail and to bring them together in relation so that a comprehension of the overall image is portrayed. Complementing the subject matter is a specific color palette that effectively stimulates and suggests the desired mood. Collectively his compositions manifest color, shape, material and line into a seductive fantasy of an alternate worldview.